Pharmaceutical companies and universities are in a race to develop "utterly transformative" gene therapies, according to a recent article by Denise Grady in The New York Times. The story says "one of the big goals now is to get them to work for many [cancers other than leukemia, for which approval is expected soon], including those of the breast, prostate, ovary, lung and pancreas." The radically new class of treatments, it also says, may "re-engineer and turbocharge millions of patient's own immune cells, turning them into cancer killers that researchers call a 'living drug.'" The Times piece contends that the new leukemia drug, called CAR-T therapy, "has been utterly transformative in blood cancers," according to Dr. Stephan Grupp, director of the cancer immunotherapy program at the Children's Hospital of Philadelphia, a professor of pediatrics at the University of Pennsylvania, "and a leader of major studies." 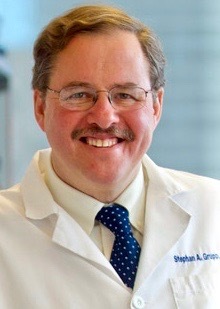 Although Grupp cautions that it will take at least five years to make an accurate determination, he maintains that if the treatment "can start to work in solid tumors, it will be utterly transformative for the whole field." The treatment apparently is also being studied in conjunction with "glioblastoma, the aggressive brain tumor that Sen. John McCain was found to have." Grupp says one particularly encouraging potential avenue of research with children involves earlier stages of disease "instead of very late, as rules now require," the Times story indicates. Earlier treatment, it reports him as believing, "might help some patients avoid bone-marrow transplant, a grueling, last-ditch treatment. Children with less advanced disease also tend to have milder side effects." Other studies are underway to combine the new therapy "with immunotherapy drugs called checkpoint inhibitors, which help unleash the cancer killing power of T-cells" — which the story describes as the white blood cells "often referred to as the soldiers of the immune system." One of the big problems with the new treatment — which "involves removing millions of…T cells…from the patient's bloodstream, genetically engineering them to recognize and kill cancer, multiplying them and then infusing them back into the patient" — is its cost factor. The process, the story explains, is very expensive (at least $300,000 per treatment, other articles have said) "because each treatment has to be made separately for each person." 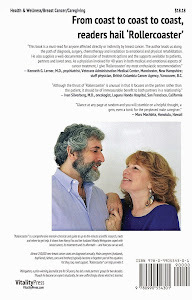 The treatment was developed at the University of Pennsylvania and licensed to Novartis. 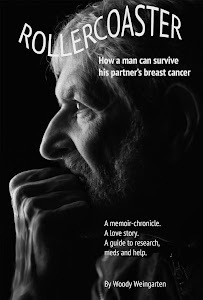 More information about cancer research and clinical trials can be found in "Rollercoaster: How a man can survive his partner's breast cancer," a VitalityPress book I, Woody Weingarten, aimed at male caregivers.